Iowa State is a large, prestigious university with a friendly hometown personality. Its 26,000 students choose from 100+ majors, study with world class scholars and keep more than 500 student organizations going strong. U.S. News & World Report ranks Iowa State among the top 50 public national universities. Half of ISU freshman get an early boost in academic success by participating in Iowa State's highly touted learning communities. So many students study or work abroad that ISU is 18th in the nation in that category. 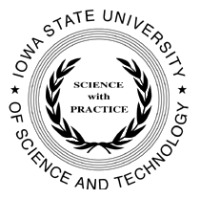 NOTE: CosmoLearning is not affiliated or endorsed by Iowa State University. This page is only intended to credit this content provider for their educational content being included on the CosmoLearning site.